In order to live your life without regrets, it is important that you are always striving for more. Of course, you should make the most of what you already have, but there is no shame in setting yourself ambitious goals and doing everything in your power to reach them. If you are unsure as to how you can enhance your current lifestyle, you should pay close attention to the following seven suggestions. Hopefully, they will inspire you to make subtle alterations to your everyday life. You might be surprised by just how big an impact the smallest of changes can make. If you already exercise on a regular basis, it is essential that you experiment with different work out plans. This is a great opportunity for you to find a work out that meets all your requirements. It might be that you are struggling to deal with a hectic schedule and you need to find short workouts that you can complete in under twenty minutes. Or, it could be that you find exercise boring and need to select an activity that keeps your mind focused on other things. Whatever your issue, keep going until you uncover a regime that makes you happy. Once you have made this change, you will find it so much easier to meet your targets and to push forward with your fitness journey. Another way to enhance your current lifestyle is by trying out new and exciting recipes. If you are wondering where to begin this process, why not try out one new recipe per week? Alternatively, if you want to dive straight in at the deep end, you could sign up to a cookery course. You could also follow online blogs, subscribe to YouTube channels, and invest in your recipe book collection. This will help you to improve your basic culinary skills. It should also inspire you to do more with your time in the kitchen. Preparing food should be a fun and creative process, as opposed to a chore that you are reluctant to take on. As you enhance your work out plans and your diet, you might find that your overall appearance improves. If this occurs, you will need to upgrade your wardrobe. Even if you maintain your existing shape, you could still benefit from reevaluating your collection of clothing and accessories. Have no fear; this doesn’t have to interfere with your bank balance. 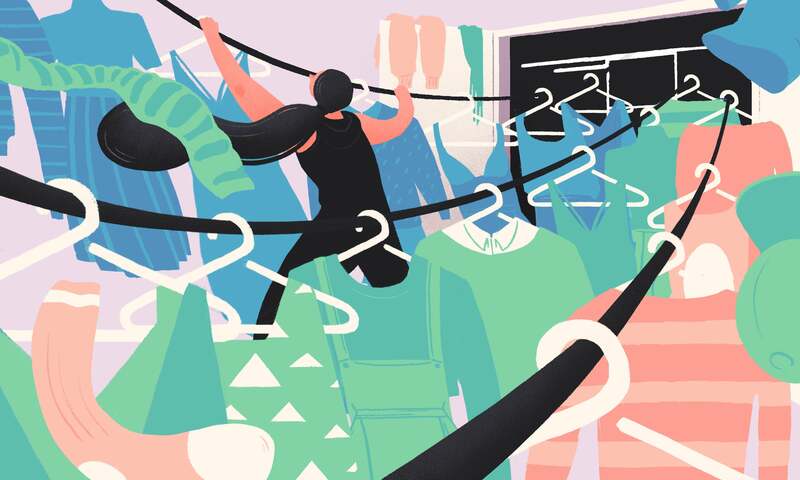 The biggest change that you can make to your closet is getting rid your old and unwanted clothes. Take the time to pass on any items that you no longer need. Then, you will need to write a list of essential items that you are missing. If you are in search of luxury goods, you should check out discount designer sites and flash sales. However, if you are working within a tight budget, you should pay a visit to your local thrift stores and charity shops. The next suggestion is to evaluate the way in which you are spending your free time. Perhaps you have recently taken up photography. Why not take this hobby to the next level by investing in high-quality equipment, lessons with a professional, and a formal binder for all your favorite shots? Alternatively, you may spend your free time vaping. If this is the case, you will need to visit https://www.brokedick.com. There is no better place for you to find the necessary vaping equipment and e-juices to enhance your everyday experience. In addition to this, you should take the time to upgrade your interior design scheme. The first step is to clear out your living space so that it is free from clutter and chaos. Next, you will need to pull out paint colors and fabric swatches that appeal to you. If you are afraid of making mistakes along the way, you could always experiment with a mood board. You could also secure the services of an interior designer or ask the advice of your friends and family. Whatever you decide, the most important thing is that you are happy with your finished look. Your home should be a space that lifts your spirits and calms your nerves. It has a huge impact on your mood, your mental health, and your lifestyle, so you need to get it right the first time. Once you have taken control of your living space, it is important that you invite your friends and family over on a regular basis. This is a fantastic way for you to enhance your current lifestyle, as you will be focusing on what really matters. Instead of allowing a busy schedule or a reliance on technology to stand in the way of you connecting with your loved ones, you should revolutionize your social calendar. Ideally, you should be meeting up with at least two loved ones a week. You should also be using apps, clubs, and public events to establish new connections. Don’t hold back! This is your chance to inject happiness, positive energy, and excitement into your life. The final suggestion is to plan an incredible vacation. If you are finding it hard to reconnect with your friends and family, this could be a brilliant opportunity for you to speed up the process. However, going on a solo trip could also work wonders for your stress levels and your outlook on life. That is why you should set yourself the challenge of planning a couple of trips a year. Maybe you could go on a friend’s trip to Las Vegas, New York, or Paris. Then, later in the year, you could go on a solo trip to a private spa or health retreat. You might need to play around with your budget, but all the hard work is bound to pay off. This Is Why Victoria’s Secret Is Over.